Great for providing an invisible protective barrier to aluminum manifolds, cast alloy valve covers, distributor and alternator housings and more. 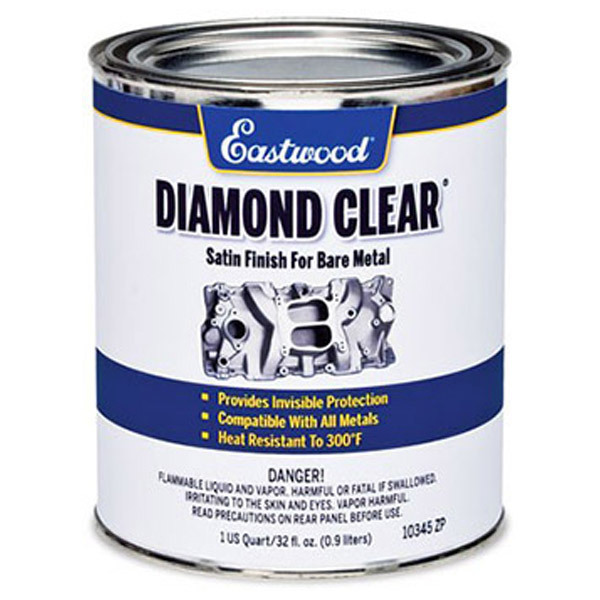 Delivering the same durable protection with clarity as our High Gloss version; Eastwood is pleased to announce this new addition to our line of Diamond Clear products. We've responded to your requests to deliver a durable coating that protects while presenting a bare metal appearance. This new coating resists temperatures up to 300℉.